Hey all! 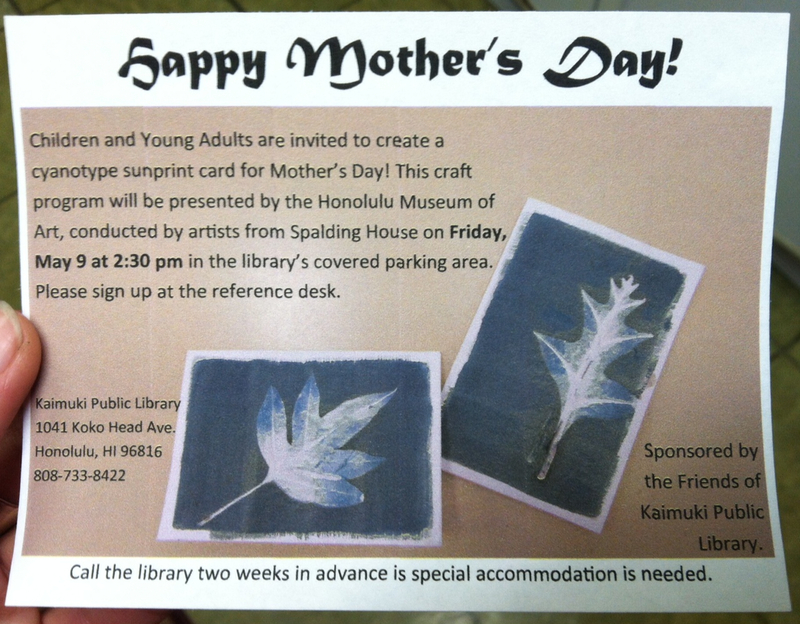 In honor of Mother’s Day, the Honolulu Museum of Art will be presenting a free cyanotype card-making workshop next Friday, May 9th at 2:30 at Kaimuki Public Library conducted by Spalding House teaching artists. Open to children, young adults, or I guess anyone with a mother figure. Sign up at Kaimuki Library, or just stop by Friday afternoon!